It's been all bootstraps since the beginning for the growing brewery with deep roots in their local community. From the time he was gifted a home brewing kit from an uncle, beer has kept Chris Tkach quite occupied. 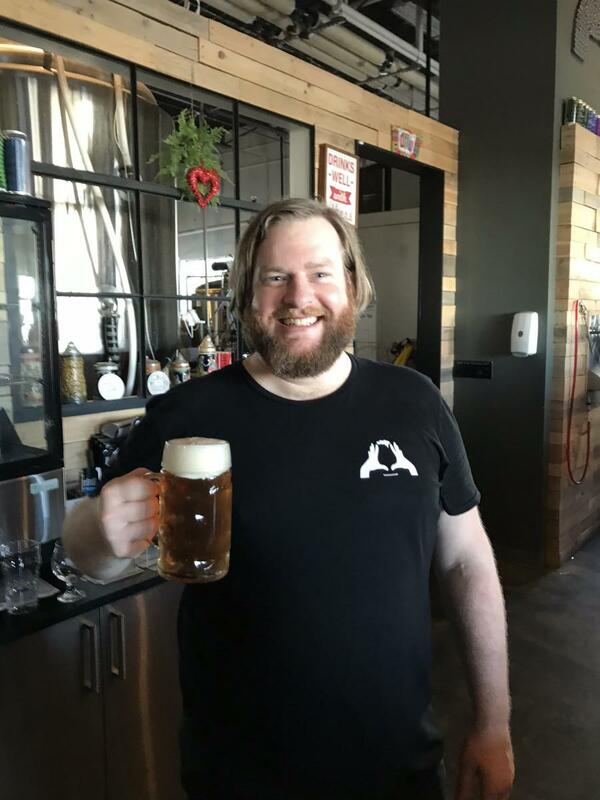 As owner and founder of Idle Hands Craft Ales in Malden, he oversees a brewery producing over 1,200 barrels of beer a year, helps constantly develop new recipes and products, and is generally the face of the franchise. Originally from New Hampshire, Tkach came to the Boston area in 2003, following his studies and a romantic interest. After purchasing a condominium with a little bit of extra space, he was able to resurrect a favorite hobby, beer making. “The girlfriend didn’t work out. The beer did,” he explains. In 2011, Tkach decided to turn his passion for craft brewing into a business. He abandoned his career as a software developer and founded Idle Hands Craft Ales with his wife, Grace. He still credits her with their success. “I couldn’t do this without her,” he admits. She continues to help drive the company, handling the marketing and other tasks. Beers on tap vary, with up to eleven offerings at a time. They brew IPAs, Belgian-style ales, lagers, porters, and stouts. Customers can purchase a full beer or they can order a Tickers Delight sampler (pictured above) - small pours of any four beers on tap. Snacks are also available to purchase, including the wildly-popular Bavarian pretzels made nearby by Fat Boyfriend Baking. Owner Bryna Chalmer approached Tkach about baking Bavarian pretzels for them. Numerous recipes were tested until they got it right. Tkach emphasizes his customers’ love for the German snack. “They’re wildly popular,” he says. Tkach is proud of Idle Hands being, and remaining, a self-supported venture. “It’s been all bootstraps since the beginning,” he asserts. “We’ve always been self-financed, and always will be.” Every decision is made carefully because of what’s at stake. Even the staff is chosen with deliberation and consideration for the long-term well-being of the company. Taproom manager Dan McDonnell has worked at Idle Hands since opening in Malden two years ago. Prior to his current role he worked at Atwood’s Tavern in Cambridge. Ironically, it was there where Idle Hands was first sold on tap. 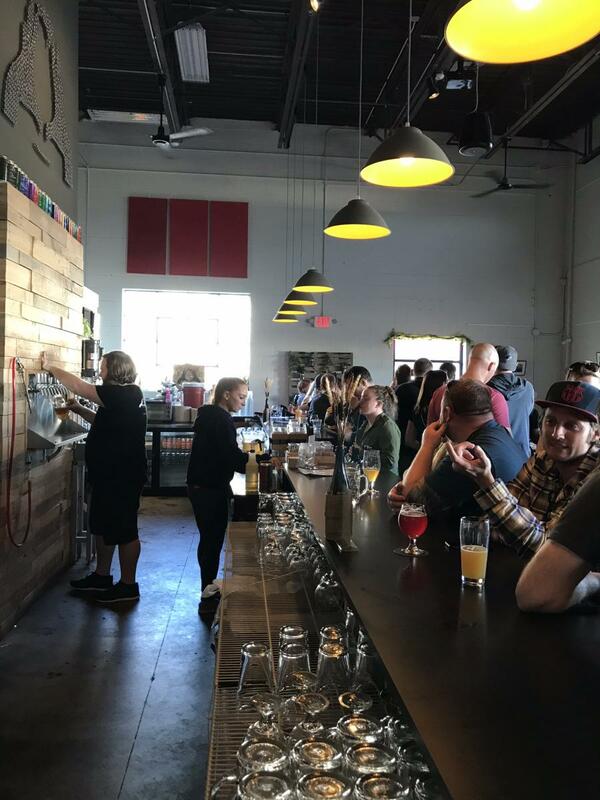 Event coordinator Jillian Fleming constantly explores new ways to bring beer fans to Idle Hands. She oversees a broad range of special events including birthday parties, baby showers, and corporate outings. Fleming plans to add weddings to that list in the future. Clients can rent the entire space, half of it, or the patio for their occasion. Fleming also oversees brewery-sponsored pop-ups and events. One favorite is Maifest - a celebration modeled after the medieval German festival. Idle Hands closes their parking lot to cars, the bar is moved outside, and the fun starts. Live bands play throughout the day, the property is decorated with flowers and streamers, and beer is served. Lots and lots of beer. Keeping with the original festival, mostly lagers are consumed. The day’s festivities begin with the traditional lager toast. Idle Hands will be participating at this year's WGBH Craft Beer Festival Fundraiser this summer. Tickets are now available here.